This simple mistake can make or break any dressing recipe. 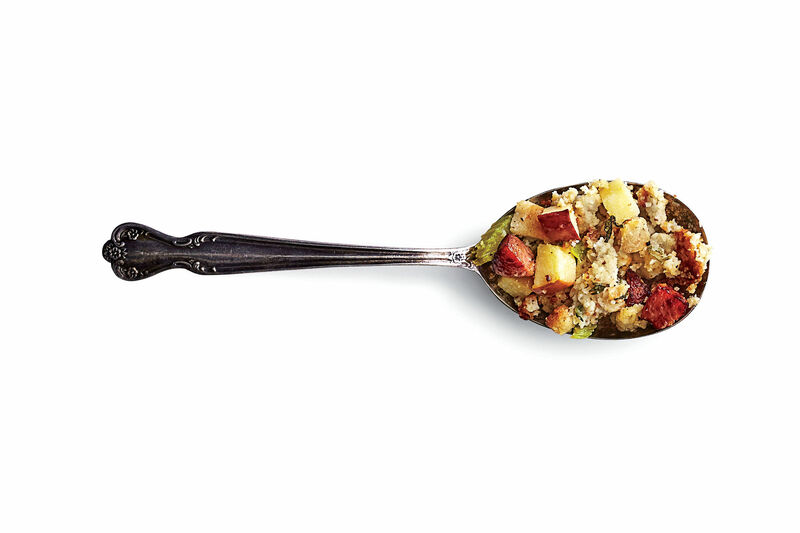 Out of all of the dishes on the Thanksgiving sideboard, dressing is the wild card. 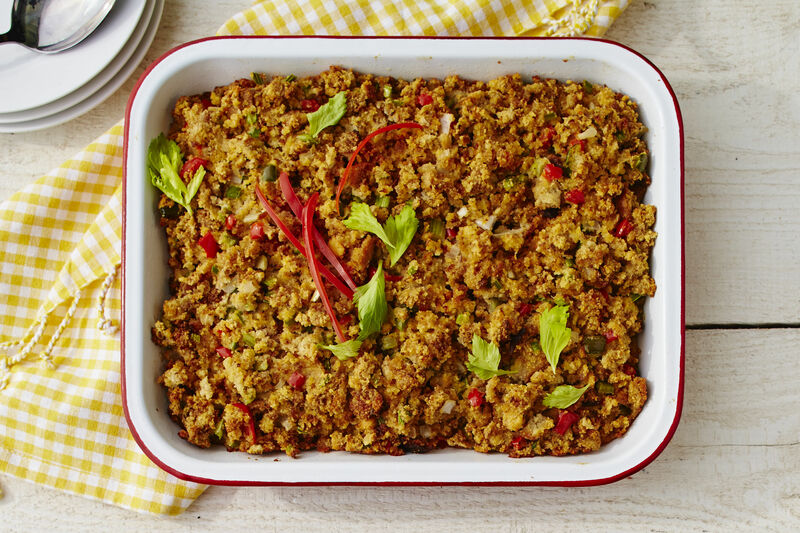 It is traditionally made with some sort of cornbread or bread (although you can also throw some rice in there), but other than that, Thanksgiving dressing recipes vary as much as the families making them. You can add chestnuts, dried fruit, mushrooms, green chiles, bacon, cheese. You can make it extra meaty, or you can go vegan. Dressing can be slightly sweet or ultra savory. You can use fresh herbs or dried. It can be cooked in a pan or inside the turkey. You can make it from a box or completely from scratch. You can even deep-fry it. I am partial to our Classic Bread Dressing, but I also love dressing with crispy bits of sausage throughout, like our Cornbread Dressing with Sausage and Fennel. But there is one thing that has no place in any Thanksgiving dressing, ever, and that is raw vegetables. Every good dressing recipe starts with some aromatics: chopped onion, celery, garlic—maybe even a bell pepper or some fennel. When cooked until caramelized and tender, these vegetables form the foundation of the dressing. 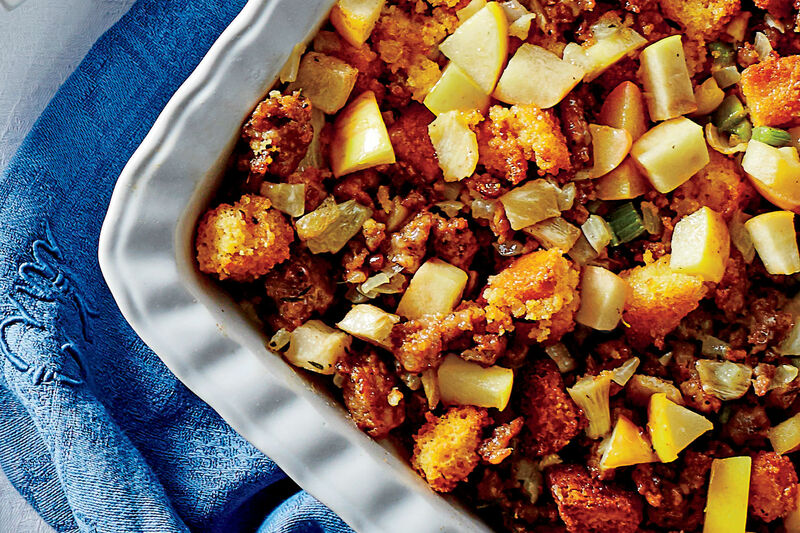 Although they are not the star of the show—that role belongs to the tender bread and add-ins like crumbled sausage and toasted pecans—aromatics give every bite of dressing depth of flavor and help marry all of the different flavors together. Although raw vegetables will bake in the oven with the other dressing ingredients, they will not properly soften and caramelize. At best, they won’t taste like much. At worse, they will add unpleasant crunchy bits throughout your dressing. Put whatever you like in your Thanksgiving dressing. Just don’t forget to cook your aromatics.